A big thank you to Rajeshbhai for providing one time meal to the children of our class in Vasna. Saath would like to thank Rajesh Basetha who every Thursday provides a nutrition snack to the children of our Child Friendly Space class. Saath is running a class at the Swaminarayan Park construction site in Vasna for the children of the workers of the site, right in front of Rajeshbhai’s home. He has his own grocery store right next to our class. He moved in the area about 2 months ago and used to see the children coming to class next door regularly every day. He inquired about the class, and coming to know that it’s for the children of labourers he felt that he has his own duty towards society and decided to provide snacks to the children once a week. A humble person when asked about it Rajeshbhai says, “When I came to know I first ask the teacher that whether I can give the food to children or not as I thought some parent may say no. Saath is doing a very commendable job and I hope that the developers of the construction site also realise their duty and provide such classes and also support to the children of the labourers working for them. I regularly send my daughter as well to distribute food at the class so that she also learns about social responsibility”. Talking about children with a big smile on his face Rajeshbhai adds, “Every Thursday morning the children come to ask me that what I’m going to give them today. Now they also give their own loving demands adding please give this today kaka which I do oblige”. A big Thank You from Saath to Rajeshbhai for his support!!! 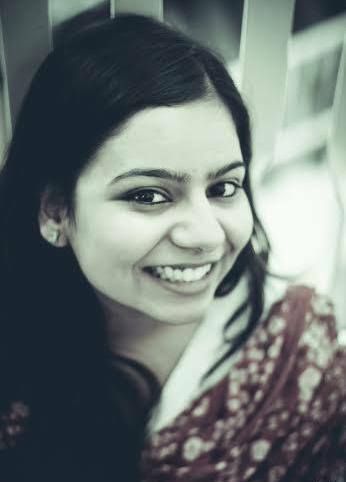 My six week internship with SAATH was a mesmerizing experience for me. Thanks to my college Symbiosis Institute of Media and Communication, I got this marvelous opportunity to work with SAATH and do my share in the betterment of the society. Working at this NGO was more than just a “job” for me. It made me get to know about that part of our society that remains unseen and unheard. My internship started with the basic orientation in which I was introduced to all the programs that are conducted by the NGO. I was also taken to most of these centers where I interacted with the program managers to have a better understanding of their work. 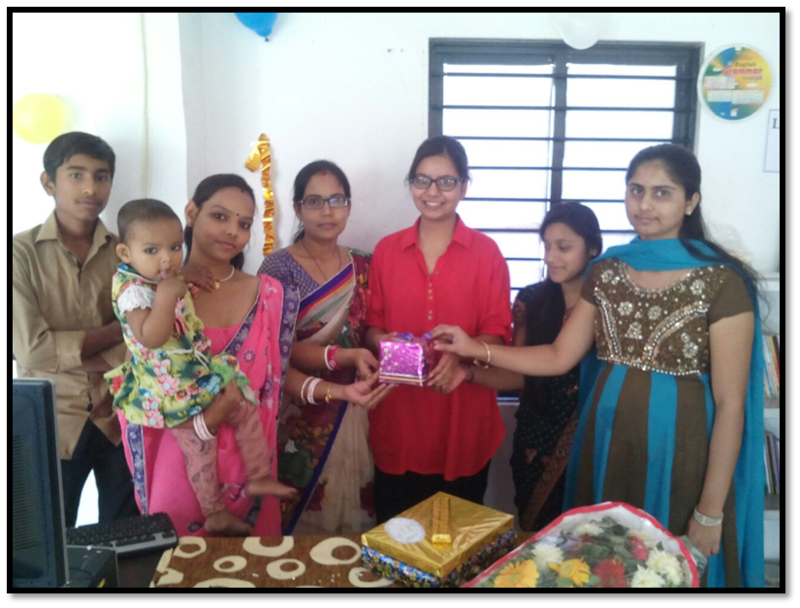 My work was at UDAAN, a youth training center where I was assigned to interact as well as teach the unemployed youth the courses of life skills, personality development as well as the basic English speaking. 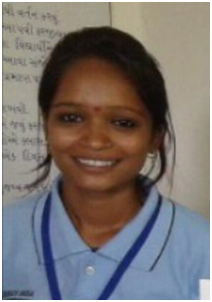 Working at UDAAN was a life changing experience for me. I never thought in such a short period of time I would get so comfortable with the people. Not only the teaching, but the whole experience of interacting with them and getting to know them was completely fascinating. Initially I was a bit hesitant to talk to the students but as time passed by, it started becoming very easy for them to be able to open up with me. Also to overcome this gap, I made them do such activities which involved coming out of their shells and opening up with the others and making them realize they have people to share things with. An 11th grader dreams of having his own retail shop someday, a mother of two children dreams of completing her PhD in Philosophy and becoming a lecturer, one graduate wants to join an NGO and participate in social work and so on there are millions of such dreams which were expressed by the students. It was amusing to know how everyone talked about having a great future with a respectful job and tons of money. I started with writing a motivational thought and a new word in english with its meaning and use in sentence everyday on the board and later on explaining it to them. After their usual class, I used to take sessions in which I conducted various interactive, expressing as well as personality development activities. These activities usually involved getting to know oneself better and accepting the way you are. They also shed a light on emotional content that they shared comfortably with me and the rest of the group. Along with this, they also talked about their likes and dislikes, their interests, their dreams and regrets. I made them talk to me on one on one basis and encouraged them to practice ways of public speaking with a confidence. Apart from life skills, I started with teaching them fundamentals of grammar, sentence formation, giving introduction as well as to have a telephonic conversation. I also conducted a few classes on spelling and pronunciations. Along with this, I gave them suggestions on how one should dress up during an interview and tips on how to carry them while sitting in front of the interviewer. I even gave them tips on how one should conduct them in a proper office environment that involved greeting their seniors and juniors and behaving in a particular way with their colleagues. On my last day, a bunch of students planned a surprise farewell for me and arranged cakes and snacks and presented me with token of best wishes. It was an amazing experience, in a nutshell. Not only I taught, I learned so much from them. Majority of them come from lower middle class and have heartwarming stories to tell. There are so many obstacles that they face and yet lead such an upbeat and positive lives. SAATH has been doing its best in working for the underprivileged. I feel honoured to be a part of this esteemed NGO. I would like to thank my mentors Mr. Kunal Patel, Miss Jenny Parekh, Mr. Nitesh Oza, Mr. Rajendra Prajapati and Miss Keren for being my guiding light throughout my journey with SAATH, Though my internship ended, I would always remember the time I spent here and would love to assist them in the near future as well. 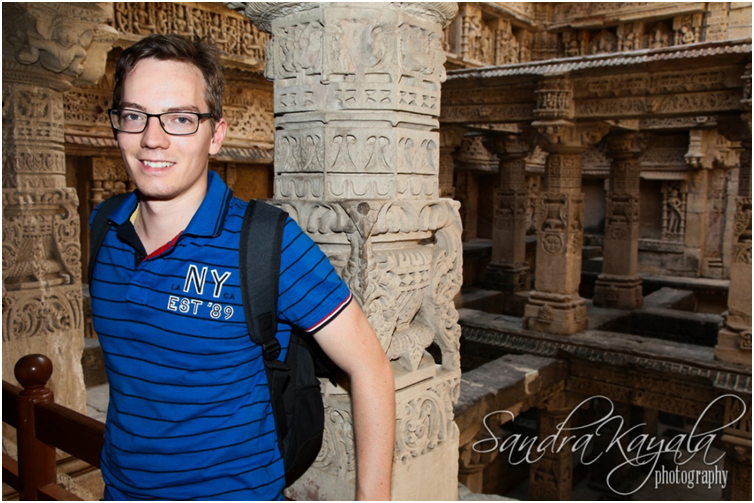 India –That made me think about Gandhi, Spices and friendly people when I applied for Saath. It was my first time in an NGO and my first time in India. And I would do it again. At the beginning Irbaaz and Kunal showed me all the programs. Thank you again for all the field visits and the possibility to discuss with the people in the field. Problems seem easy to solve but when you dig deeper it turns out infinitely complicated. 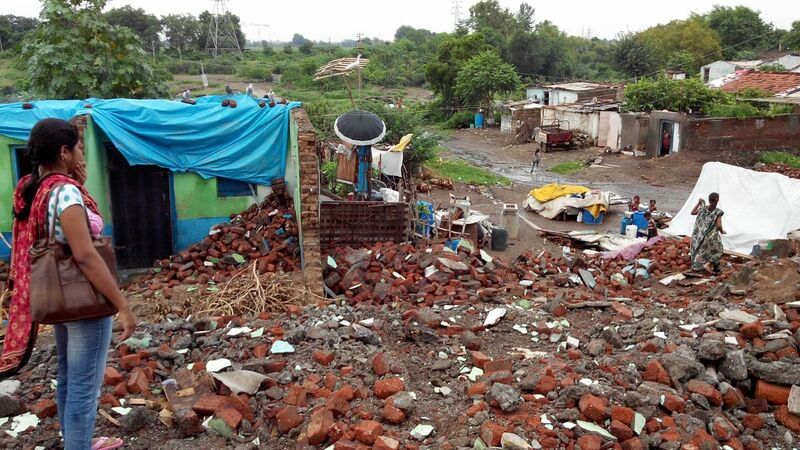 Of course the slum dwellers would like to live in brick walled houses, but giving up the livelihood, the neighborhood and all the social contacts for that? No, thanks. And even if such a resettlement is financially possible the life in a multi-story house is completely different to that in a slum. How should you know how all the things work if you never have seen it. This is the same like me and the Rickshaws. You first have to learn the trick for not being cheated. 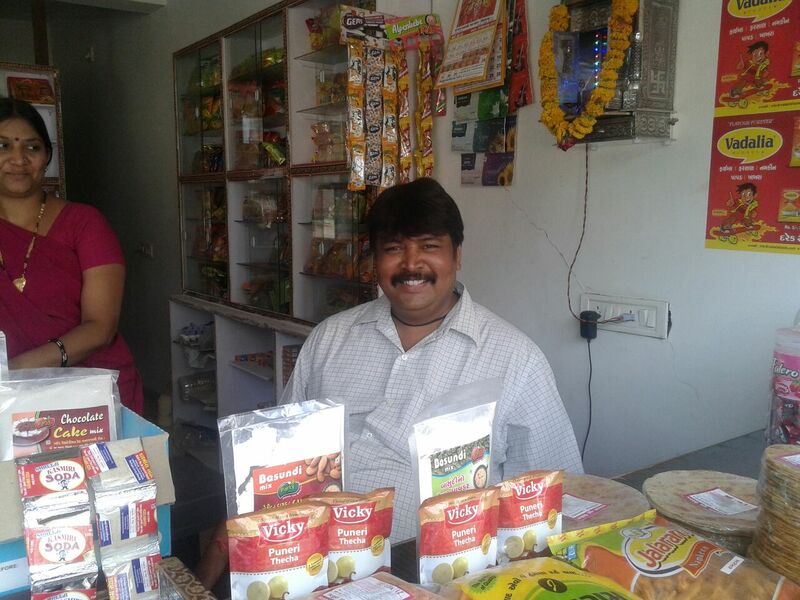 Saath’s strength is definitely community building and help for self-help. All the field workers live for several years in the same society and gained the trust of the people, they know each other. This is a long process but the only way to get the trust and willingness of the people. But actually this is not surprising, or do you trust a random guy coming to your house and telling you how to live a better life? “A lack of trust and information make a lot of programs fail” explain my mentors Kunal and Irbaaz from RDC, “and to build this you need time”. After that overview I started working for the Nirman program. The curriculum was developed with Bosch India Foundation and is up to date. However a certification of a national agency would increase the reputation of the course – and thus the income of the workers. This meant a lot of paperwork for me, but we are on a good way. Additionally we worked on a new website for Saath. Updating the old webpage was complicated and often done by an external agency. This caused friction and time loss. The whole RDC team worked on the new page, we got feedback from the other departments, wrote new content, contacted sponsors and selected pictures. The site is almost done, I hope it will be soon online. We needed a lot of new pictures for the site. So we updated the picture database and created a workflow to file and tag pictures. Now they can be found fast and easily by all team members. We developed a guide and trained everybody in hands on – which is often more effective than plain paper. Saath is fascinating. I am happy that I had my internship in an NGO and especially that it was Saath. I do understand a lot of thing much better now, thanks to the contact and discussion with the local people. And India? At the beginning it was really different. Chaotic and loud but also colorful and incredibly friendly and positive. Things go upwards and even if a situation seems hopeless: You always get a smile back. Definitely Germans are able to learn a thing or two from India. If you relax, India will soak you in cordially. Saath’s Housing rights projects Rajkot team received this news through local newspaper and visited the site for fact finding. 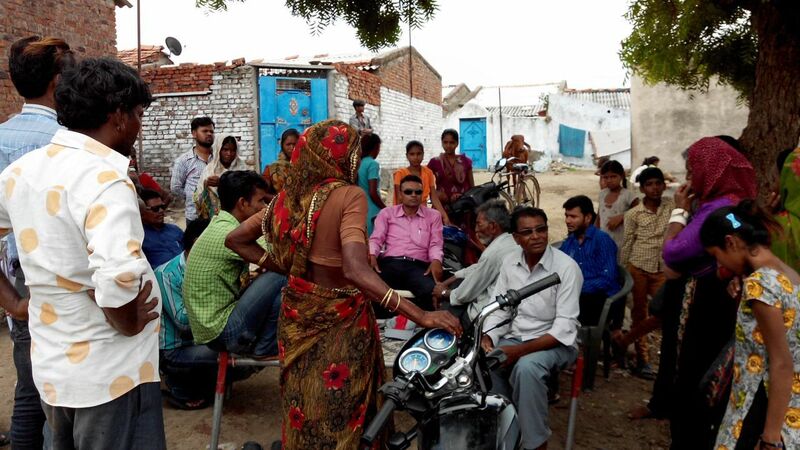 The affected community had aksed help and guidance from the team. The team drafted a request letter and submitted it to the Rajkot commissioner. At that time commissioner did not given positive response and instead of providing housing to the people he asked rent of the RMC land which they had used in last 35 years and used humilitative words for the community. Our team members tried to explain the poor condition of the community and then the commissioner suggested to apply for EWS and LIG housing scheme under Mukhya Mantri Awash Yojana (again this is not affordable to people). Since the community had not followed the due legal process after receiving the notice, we realised that filing case in the court was not an effective strategy. Another strategy was planned to raise this issue at the nation level through National Commission for Protection of Child Rights (NCPC). However, local political leaders took some interest and divided the community. Because of political intervention we took our step back, but kept eye on each action with the help of local leaders. Meanwhile, team did regular dialogues with the commissioner. On 16th September the commissioner gave positive response and verbally committed that the 30 families who had voluntarily demolished their houses will receive dwelling under BSUP scheme and suggested to meet Alpana Mitra (civil Engineer – RMC) for the same. Alpana Mitra has given positive response, and asked to do survey of all 65 families and that they will try to allocate housing to all the affected families. For us this is one of the major achievements that by we succeed to protect housing rights of the 65 families. Through its Nirman project Saath has been working towards breaking the gender stereotypes regarding work. Through its Nirman project Saath has trained over 96 women as Masons. Saath has also started training women as Electricians a trade predominantly male and considered unconventional for women. 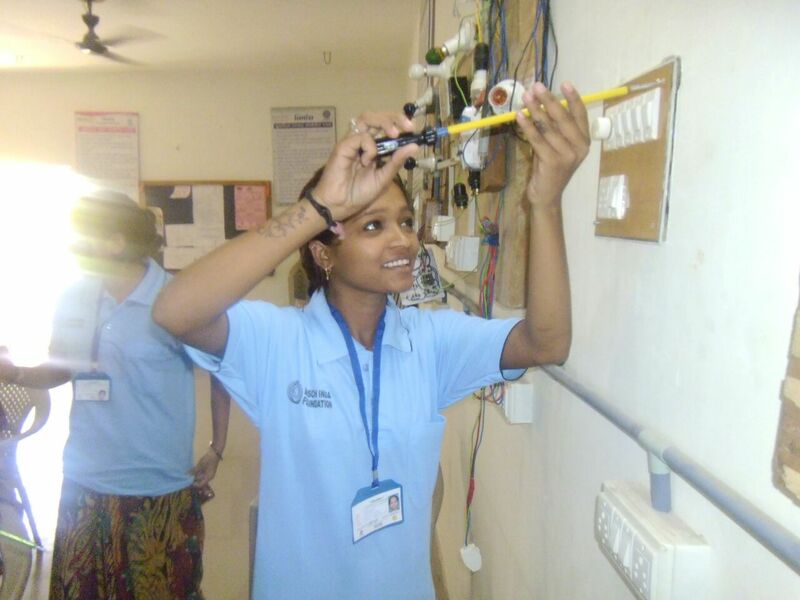 Recently we have started speacial batches for training female electricians and have trained over 18 women as Electricians and given below is the story of Ashwini Parmar one of the Nirman trainee of the electrician batch in her own words. There are seven members in my family which includes my mother, 2 sisters and 1 brother and my uncle and aunt. My father passed away 10 years ago. My mother does housework, my uncle has a private job and we get pension of my grandfather through which we are able to earn Rs. 8,000 per month. I being the eldest child in my family had to become responsible at very young age. I was always interested in working as an electrician and used to do small repair works within my home. When I came to know about the Nirman electrician training programme I decided to join it and got full support from my family to join the course. I learned a lot during the training and thoroughly enjoyed the course. In the future I want to start a small business on my own and currently will do some small electrician’s work within my neighbourhood. Currently I’ve got a job working in Divya Bhaskar. Along with it I’ve been selected as a faculty in Nirman to teach the electrician course to other women joining the training. I’m really thankful to Saath and Nirman for putting so much trust and faith in me and I will do my best to meet up their expectations.